Let’s Interview: Paper Soul Theatre Developers Otyugra Games! When it comes to indie games in development, some are more well known than others. On the one hand, you have stuff like Shovel Knight, Shantae and the various Kickstarter disasters that have been released in the last year or two. These games are heavily promoted, have lots of articles written about them and usually end up with a decent amount of information about them online. They have hype behind them. Paper Soul Theatre is not like this. Instead, some may almost consider it the exact opposite. Why? Because despite it being announced a while back and advertised on Paper Mario fan forums, almost no one knows much about the game itself. The game is like some sort of strange enigma. A phantom game we know exists, but know nothing about. Until now. Because thanks to a bit of careful persuation, we’ve now managed to get a full interivew about the title courtesy of the folks at Otyugra Games. This includes real concept art, details on the story and mechanics and a ton more besides! Let’s start with the personal stuff first, just to get it out the way. Who are you? Who is on the team at Otyugra Games? My name is Matthew Kordon –thank you for interviewing me. Game development has been a hobby of mine for about seven years, and is now transitioning into an occupation. 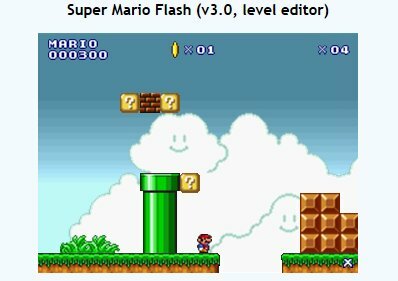 I became interested in game design as a kid when I discovered Super Mario Flash, a browser level editor that had a big community around it in its heyday. Since then, I’ve worked to become a writer and music composer. I’ve also been drawing my whole life, and as a college student, I’m majoring in computer science. Otyugra Games as a group of people has changed in size aggressively and repeatedly since the start, but momentarily, the people who help on the team are all what I would call Directors of Game Design who are mostly game writers secondarily. Including me, there are 4 members. Right then. Moving on a bit now, how did you first get interested in video games? My first experience with video games was a 2003 leapfrog edutainment handheld system when I was about 7-years-old. I immediately fell in love with gaming and soon after, I began to play early 2000s kid-friendly computer games and got a Game Boy Advance. My first interaction with the Paper Mario series was in 2007 when Super Paper Mario came out, which was also my second experience with RPGs, the Pokémon series being the first. Oddly enough, Super Paper Mario was the game that made me appreciate what videogames are capable of, but it wasn’t until I played TTYD a few years later that I wanted to make a game inspired by the original trilogy. Yeah, for a Nintendo game, Super Paper Mario had an arguably-surreal and very complex story with mature moments, which was a cut above the kind of stories I was used to at the time. Yeah, it certainly had a unique story for a Nintendo game. Quick question on game development now though. Did you make any games before Paper Soul Theatre? You betcha. I’m head Game Director, so naturally I’ve had practice. One of my early games is an unfinished point-and-click sci-fi game that was going to deal with the ethics of business on a galactic scale. 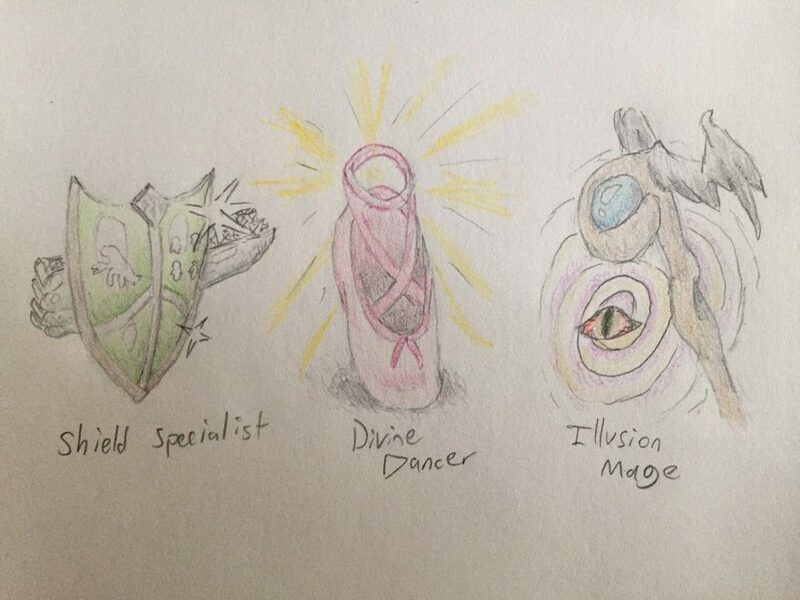 What’s cool about that game, Everlasting Night, is that it was the inspiration for the 3 RPG classes that you choose between at the start of Paper Soul Theater. As stated before, the class you choose helps determine Aponi’s personality and dialogue options. Additionally, I made a game called Meat Quest, which is like a tiny, comedic, postmodern version of Myst. Of all my games, I think that one had the most striking art. I made it for a competition and it did really well. I’ve also made a little puzzle platformer, and a strategy game that is basically a Chess-Fire Emblem hybrid. Paper Soul Theater is a subversive 3D turn-based RPG/platformer/survival horror video game, modelled after “Paper Mario: The Thousand Year Door,” about a girl in a surreal fantasy world, and the allies she gains, who use peaceful communication, violence, spiritual help, and the power of ancient totems to stop crusaders from beginning a devastating war with her weak confederacy. Okay then. That’s something. Can you explain it in a slightly clearer way? Like, a way the average Joe on Reddit or NeoGAF can understand? I think the clearest way to describe how Paper Soul Theater will play is by building off of Thousand Year Door’s gameplay description. Just like in TTYD, you move around “in the fields” to go from town to town, or from town to important location. Along the way, your party battles the corrupted “half-souls” who are cursed to walk the planet. Combat relies on weapon type advantages and Action Commands (interactions required of the player to land an attack or defend, often more complex than simply pressing buttons at the right timing). Because the setting is a cross between medieval-fantasy, and indigenous-tribalism, melee weapons and magic are used to settle turn-based battles. However, there is a major twist. There are two win conditions in most (if not all) battles; all characters in a fight have both a health total and a Willpower total. If a foe’s Willpower reaches zero, they end their aggression often by running away (if they are unintelligent) or by surrendering (if they can talk). A general illustration of the battle system in Paper Soul Theatre. 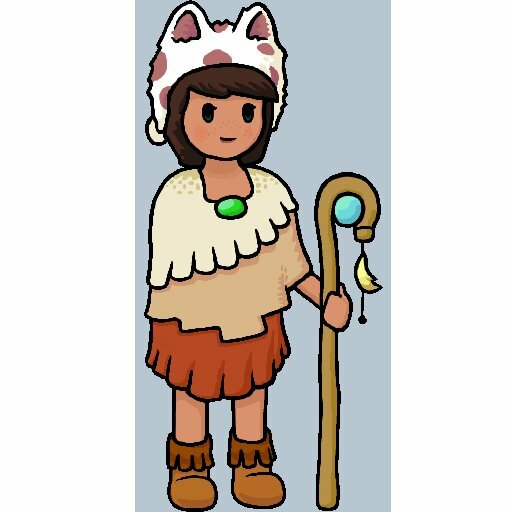 Aponi Oru is the playable character, who you start the game with one of three RPG classes (defense expert, illusionist, and divine dancer). As Aponi, you can choose to fight physically, or use your RPG class abilities to make your opponent back down. The RPG class you choose at the start unlocks new content and changes Aponi’s personality, and it also doubles as a difficulty setting. Like in TTYD, and Paper Mario 64, you acquire partners on your journey who help you “in the field” and in battle. The player gets to choose Aponi’s dialogue and actions during slow moments and is capable of buying and selling with not just shop owners, but nearly half the people you meet. Trading goods (whether items useful in battle, food ingredients, or valuables) is a larger focus in our game than it was in TTYD. 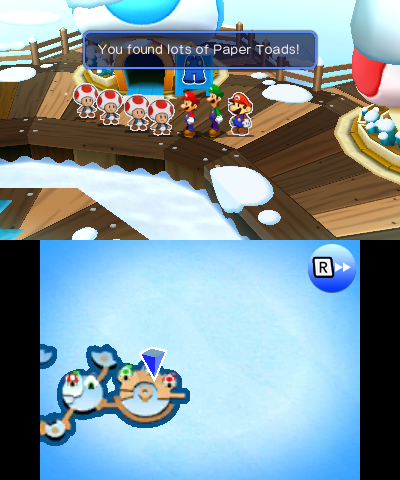 Just like TTYD, the world is broken up into a bunch of tiny sections as a way to curb our ambition. Lastly, our game features a textlog, which allows the player to see how Aponi’s thoughts and feelings. In battle it records information, like how much damage an attack did. Our game is expected to have systems nearly identical to TTYD leveling up, badges, and Flower Points. Ah, that makes a bit more sense now. The willpower mechanic sounds like a really unique mechanic. However, does it let you play the game as a pacifist, like Undertale? That’s an excellent question. The team and I have pretty diverse and intense feelings towards both Undertale and pacifism. Believe it or not, the original concept for Paper Soul Theater back in mid-late 2015 was very similar to what Undertale turned out to be. At the time, that was only a demo and a recently successful Kickstarter, so I and everyone I told about my concept had never even heard of Undertale at the time. Both games coincidentally star young girls in fantasy interactive-turn-based RPGS in which you can, as that character, choose to be nonviolent or violent to get your way. When Undertale was first released, I was extremely bitter but eventually I looked closer and started deeply appreciating what was new and excellent about it. Regarding pacifism, I would say Paper Soul Theatre is a response to Undertale, rather than an echo. I’m going to leave it at that as to not spoil anything. Onto another question now. Can you tell us a bit more about the game’s cast? Who does the game focus on? 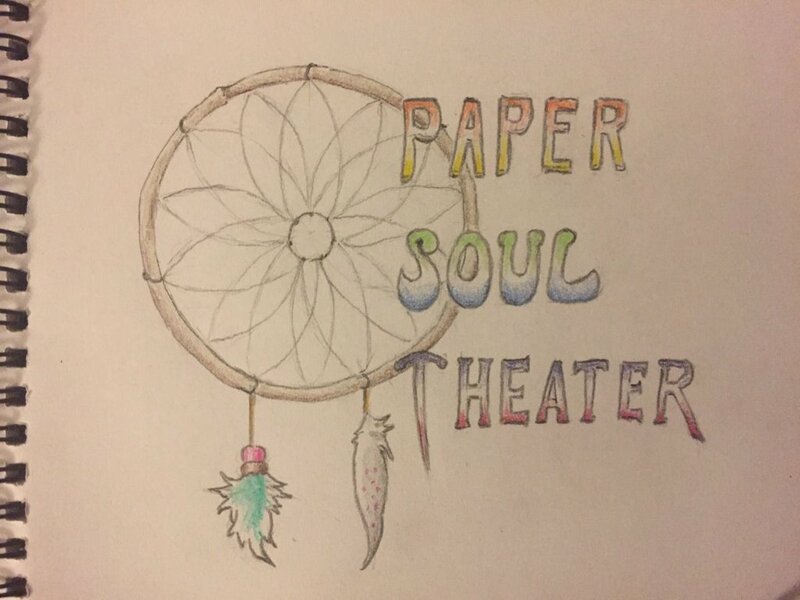 Paper Soul Theater centers around Aponi, a troubled 14-year-old girl, and three friends that she makes on her journey back home. At the start of the game, she already found a friend in a nonhuman named Tuari. He follows Aponi at first because he’s deeply concerned about her safety, and the two of them are about the same age. Aponi’s land is governed by a pantheon of Gods and Goddesses, as well as the souls of the not-currently living, known to humans as paper souls. Two of these paper souls play a significant role in the story, but how is a spoiler. There are many species (races) living on Aponi’s planet who live desegregated. Any of these people can choose obedience to one of the many gods, and in that way, the gods play a significant indirect role. One thing we haven’t seen much of with Paper Soul Theatre is the art style. What kind of style are you going for here? Is it cel shaded? Paper Mario style sprites in a 3D environment? Something else? It’s true that much of the art we’ve shown is of different styles, since we’ve been more loose about how we make concept art. 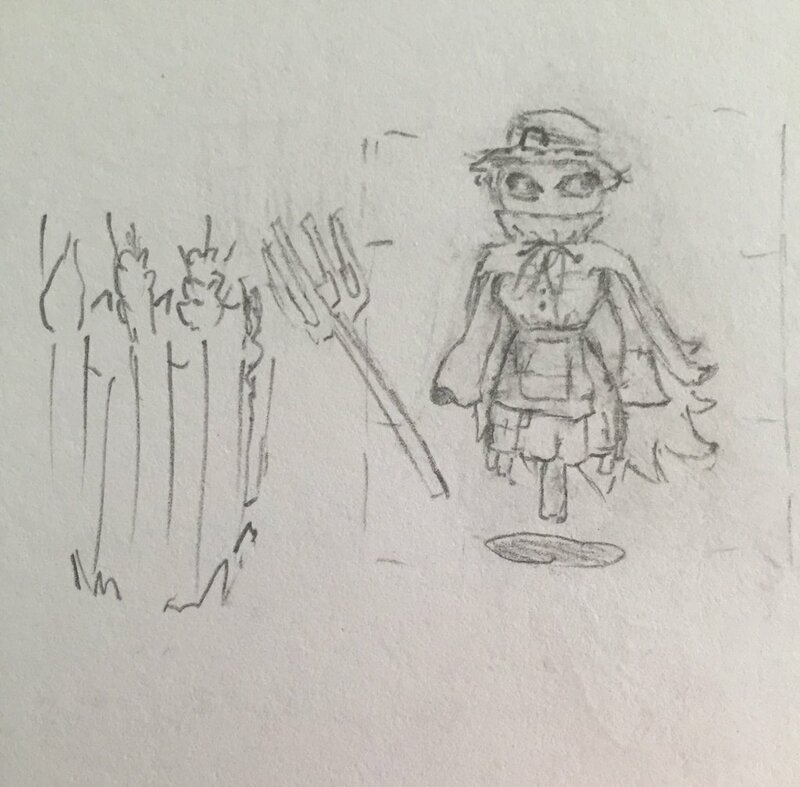 Our game has two art styles. Environmental graphics (like the ground and sky), and stationary things (like trees and houses) all have a watercolor, soft, detailed art style, while everything else (like people and animals) have an art style similar to The Thousand Year Door, but with flat colors. So it’s basically a bit like Skyward Sword’s backgrounds meet Paper Mario’s characters? That’s a good comparison. We’re aiming for a mixure of Paper Mario’s cute simplicity, and a bit of realism/ detail. 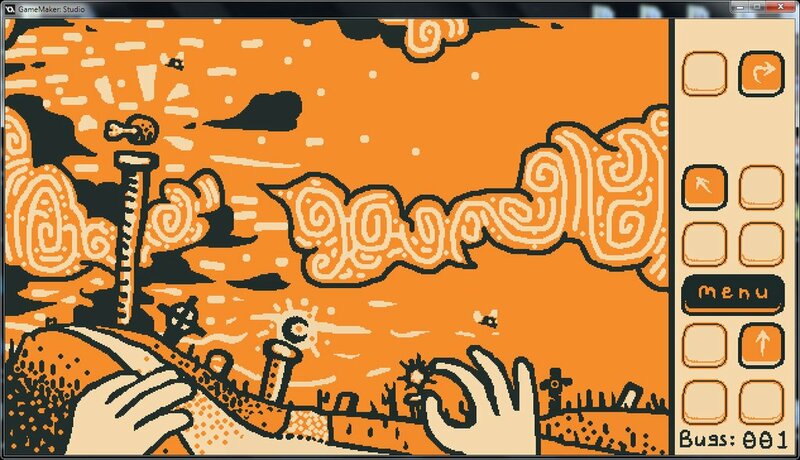 The imaginative places of TTYD are undoubtedly memorable, so I doubt Paper Soul Theatre will be able to match such an incredible accomplishment, but our plan is to maintain that each place is atmospherically distinct, and filled with interesting sights. 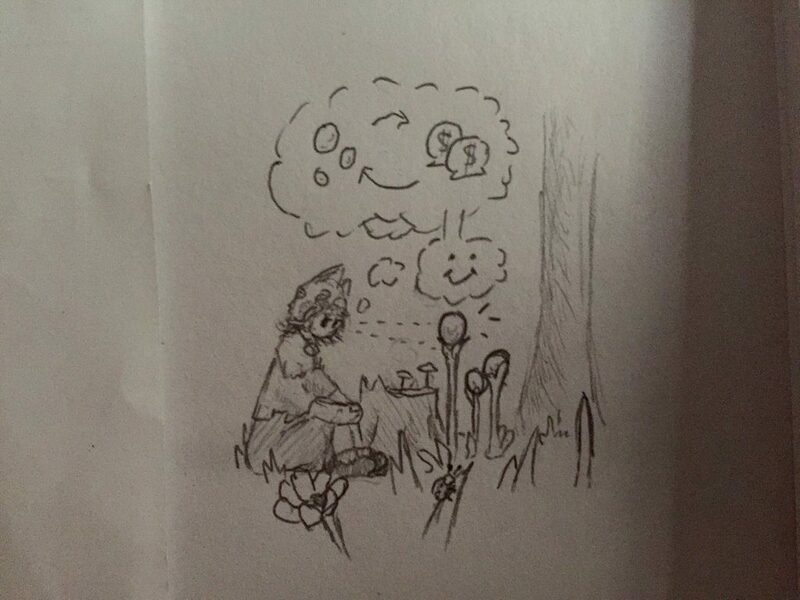 There is one point in which your party ventures through a forest beneath the surface of the planet filled with glowing life, strange stalagmites and albino creatures. I got that idea both from Iroquois Mythology and also the indie RPG Space Funeral. The locales of TTYD have left a huge impression on all of us, but unlike for that game, the locations in ours will need to look as though they could exist near each other; Thousand Year Door was more of a story anthology than a single narrative. At one point, PST was going have the entire art style change depending on where you are, but that was immediately scrapped. Nice to see there’s a unique artistic direction for each location then. However, it also seems a bit more than just a Paper Mario clone in terms of ideas. Are you trying to differentiate your game from the Paper Mario titles a bit more? Definitely. Our goal is to make a game in the same vein as TTYD, but not to the point of retreading it to a tee. That said, this is a game being made with Paper Mario fans in mind; albeit not so much Sticker Star and Color Splash fans. I’ve seen games and movies before that borrowed too much from their inspiration, and that leaves something to be desired in my opinion. Either way, you mention something about souls here. What’s the big deal with these? Do they act like the end of chapter collectables? How do they tie into the half soul enemies you mentioned? The answer to that lies within the creation myth of our game. One of the benefits of spending a year making a game too ambitious meant that when we downsized the game, we still had lore to hint at. The depth of the world Aponi lives in is deeper than the actual plot of the game, and that might cause the player to feel as though a part of something much bigger than themselves. In the days before creation, the Maker God was without any friends among the other Gods and Goddesses. Under their orders he had crafted animals and plants, but they weren’t capable of love, so he cut the souls of intelligent life from papyrus. In short, the other Gods were mad because of that, so they cursed the souls to be halved. The Maker God considered it cruel to punish them rather than him, so he made even more souls in stubborn retaliation. This time, the gods kicked him out of heaven and spared the new life. The gods then tried to wipe the new life of their knowledge of the Maker. One settlement of people managed to keep their memory, and that’s when the game begins. I’m guessing there’s a bit more here though. Why are you looking for these souls? 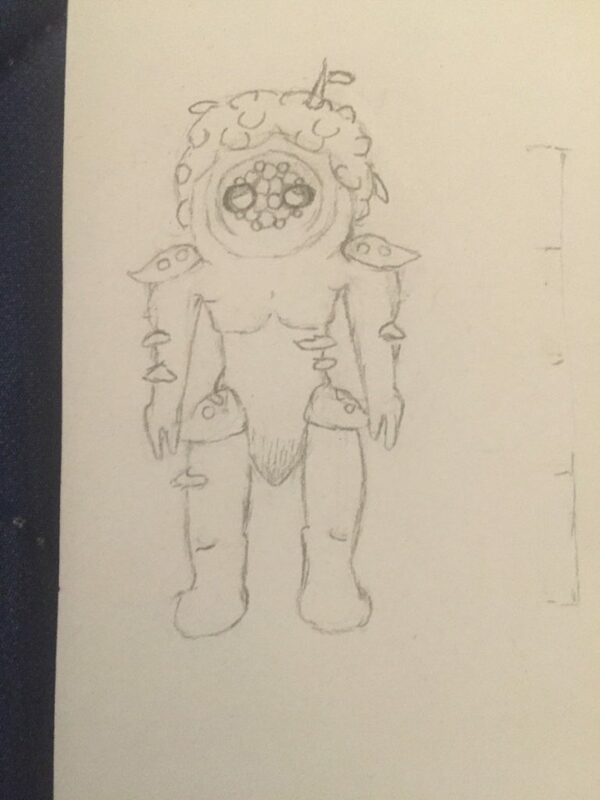 The Paper Souls are characters in our game, rather than collectables. Unlike in TTYD, the player isn’t collecting a bunch of something to get somewhere, but instead is doing what it takes to figure out a way back home, after running away. That sounds simple, but is isn’t when your home is surrounded by concealing magic. Okay, so what kinds of enemies and bosses are in this game? Any recurring mooks that act like Mario’s Goombas? Any notable bosses you’d like to mention? That’s a good question, but I’m going to sidestep it a little. One thing I adore about Paper Mario games is that there are variations of the same mooks, like cave goombas for example. I plan for our game to have that too, where many enemies return in different variations. 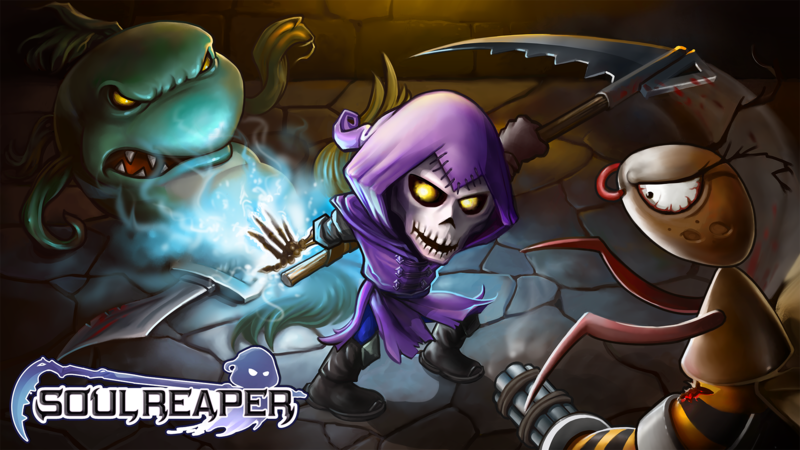 Halfsouls encompass the vast majority of enemies and can be found natively to different places. It is possible that our game will have fewer bosses per game length than TTYD, but then maybe not. So what consoles do you plan to publish this on anyway? Our game is going to be exclusively on Windows, Linux, and Mac. Even if we crowdfunded, we won’t expand onto consoles unfortunately. We are planning on making a sequel one day, and if we do, it will be a much more ambitious project that will almost certainly release on consoles..and possibly handhelds. Oh, so there are plans for a sequel? Yep, this game is actually a prequel to a much bigger story. Either way, it’s a pretty ambitious game. Do you ever worry about that? That your plans for the game are a bit too ambitious overall? Oh all the time. Just a few weeks ago, I made the executive decision to cut a lot of corners, and it was ugly. Actually, many times now, we’ve had to reduce the game in pretty much every way imaginable. I’ve had members quit before because of how drastically we would cut back, but it was the right move. Paper Soul Theater is going to be as long as three TTYD chapters at most. They say to cut mechanics, not content, and I think we’ll also need to crack down on one or two Paper Mario mechanics sometime to keep our game afloat. An example of this is that our game is 3D, but when Aponi and the gang enter a town, we might shift the perspective to 2D. I think it would be unrealistic for us to try to completely be on the same level as TTYD and to also try to improve upon it in some ways. I guess we can’t have our cake and eat it too. 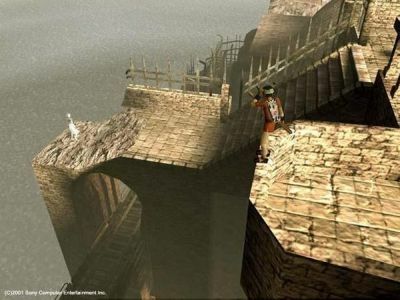 Design through subtraction isn’t ways bad; just look at Ico and Shadow of the Colossus. Subtractive design has worked well in Ico and Shadow of the Colossus. What about marketing? How do you plan to market the game, to get the word out there a bit more? To tell the truth, this is our first major game, so no one on our team had any solid experience with marketing/ public relations. I decided a long time ago to take up those roles. My strategy so for has been to start drumming up awareness for our game ridiculously far ahead of time so that when its crunch time, we’ll already have a few loyal fans and I’ll be more experienced. I’ve mostly been using social media to attract people to us rather than the other way around. On Reddit, for example, I’ve became a genuine “regular” on the PaperMario subreddit, but on twitter, I try to be personal and also supportive of other indie games that catch my eye. I’ve come to realize that this isn’t going to be enough, given that our follower count on Twitter has flat lined, basically. I think people are getting bored of written information and miscellaneous concept art, which means starting the hype train early kinda backfired on us. My future plan is to get more attention from gaming journalism (kind people like yourself), as well as give keys to YouTubers/Streamers. It’s a win-win, almost every YouTuber who asks us for a key in advance will get a copy for free, and it acts as voluntary word of mouth. I’m stumped as to how I might advertise in the real world, and there is also the problem of how insanely fractured the Paper Mario fanbase is across so many sites. The problem is, I’m currently still a college student, so I don’t have the time to go to stuff like PAX, E3, or Cons, so whenever I see other developers who are even more amateur than us do it, I get jealous, lol. Surprisingly, that is one of the most common questions we get. I wish I could say the reason is because we have too much integrity to ask for money from the fans, but the truth is it feels too early to do it and I get cold feet when it comes to stuff like that. These days, I’ve became much more open-minded to finding a publisher and giving up a small amount of creative freedom for the sake of making sure the game gets completed at a faster pace and with more production value. 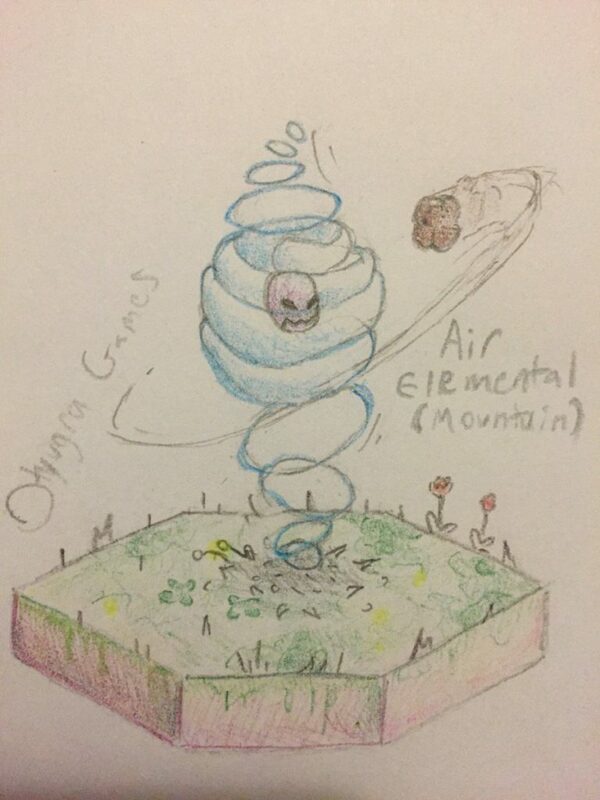 My plan is to register Otyugra Games as an official company with my state this summer, and start treating this as a profession on top of college. I’m 20, but I have a gut feeling my father is going to resent that, unfortunately. Could you consider a Patreon for this game though? Yeah. We might make a Patreon in place of a Kickstarter when the time is right. Last but not least, what are your plans for Otygura Games if Paper Soul Theatre succeeds? Funny, I almost never think about that. I’ve considered putting Paper Soul Theater on my resume, and trying to land a respectable game development job. Most likely, after gaining experience, I would either work my way up to a place where I could call the shots, or take that experience with me back into the indie game scene. Then again, I might stay with Otyugra Games for a while, but either way, I’m excited to show the world what I’ve got. Such as this exclusive screenshot he sent over! Yes, here it is. Here is the first ever actual screenshot of Paper Soul Theatre. 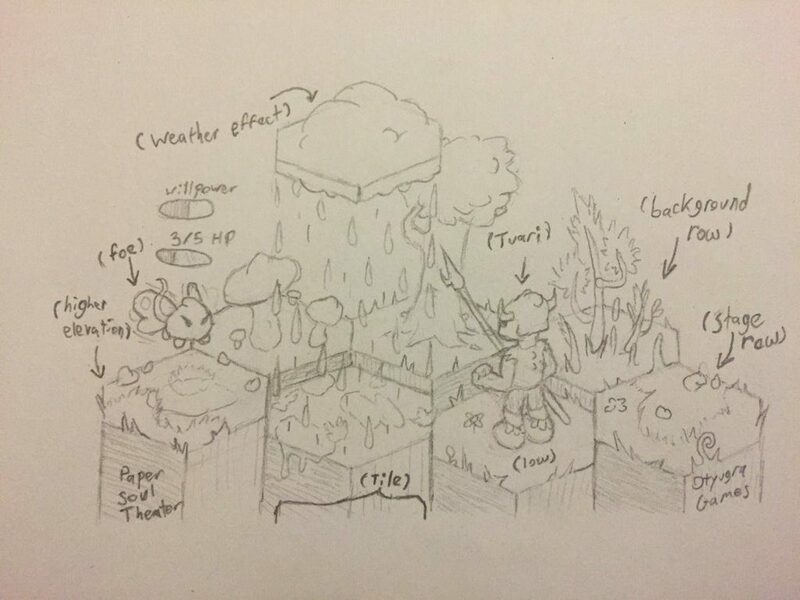 A screenshot showing part of Paper Soul Theatre early in development. As you can tell, it’s from an early point in development. Aka from when the game was in alpha testing. But it’s an actual screenshot none the less. What’s more, it illustrates the sort of setup the game may have. You’ve got the 2D characters on the 3D backgrounds. Some semblance of the finished product’s art style. And hey, quite a few other neat things too. So yeah, nice to see something of the game itself now. Even if this isn’t a current screenshot. Oh no. It’s actually from a few versions ago. In the meantime, the graphics and design have actually improved significantly. However, since the level design is still in progress… This is what we got. After all, better to show a rough but interesting level than ‘Final Destination with posh graphics’. Or another empty room with nothing in it. Either way, that’s Paper Soul Theatre for you. Do you find the concept interesting? Does the Paper Mario spiritual successor idea make you want to try the game? Post your thoughts on it here or on social media today!